The Dubai International Baja, round 2 of the 2018 FIA Cross Country Rally World Cup, was on Saturday March 10 the scene of celebration for two Mini´s out of the German X-raid Garage: Factory driver Jakub "Kuba" Przygonski from Poland and Belgian navigator Tom Colsoul finished first in their 2018 Mini while the Russians Vladimir Vasilyev and Konstantin Zhiltsov finished second in their private G-Energy Mini. 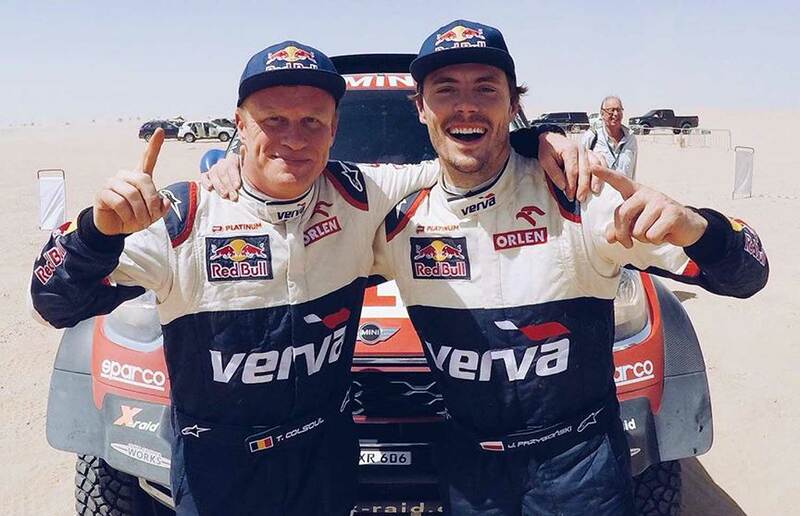 Przygonski and Colsoul started the Dubai International Baja in fine form by completing Friday’s (9th March) Leg 1 in first place. 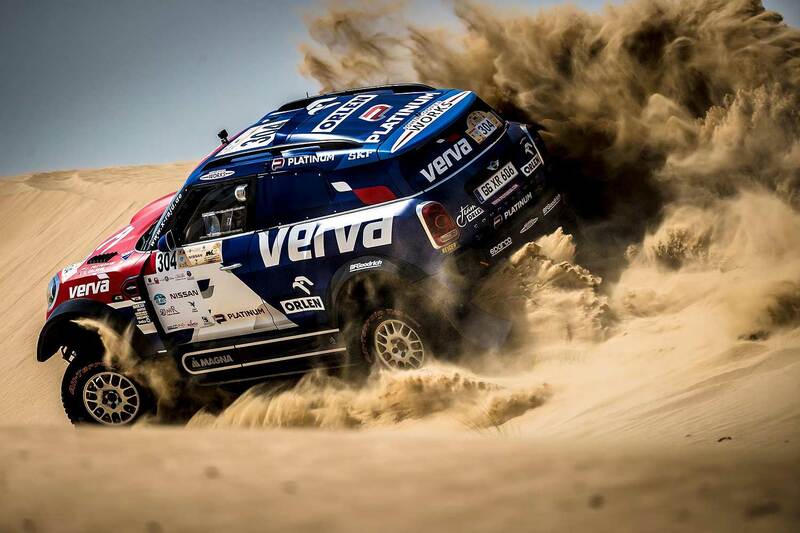 Despite severe dunes and soft sand, their overnight first place position was maintained from the start of Saturday’s Leg 2 through to the finish line, where they completed 4:33 minutes ahead of the Vasilyev and Zhiltsov in the second Mini. Also in the 2018 FIA Cross Country Rally World Cup the two Mini are leading the field, Przygonski in front of Vasilyev after both finished also the first round in Russia with second and third position and the Russia-winner and actual World Champion Nasser Al Attiyah didn´t start in Dubai. "We are really happy to win this race. Today we had a lot of soft sand with a lot of tracks, which was not so easy to drive but we opened the stage and that helped us to learn a lot," said Przygonski. "In the beginning, our plan was to finish this race on the podium and we have won, so we are really happy. The MINI John Cooper Works Rally was great and we didn’t have any problems. The cooperation with Tom was perfect and we are happy that now, after Dubai, we are leading the World Cup and looking forward to Abu Dhabi." 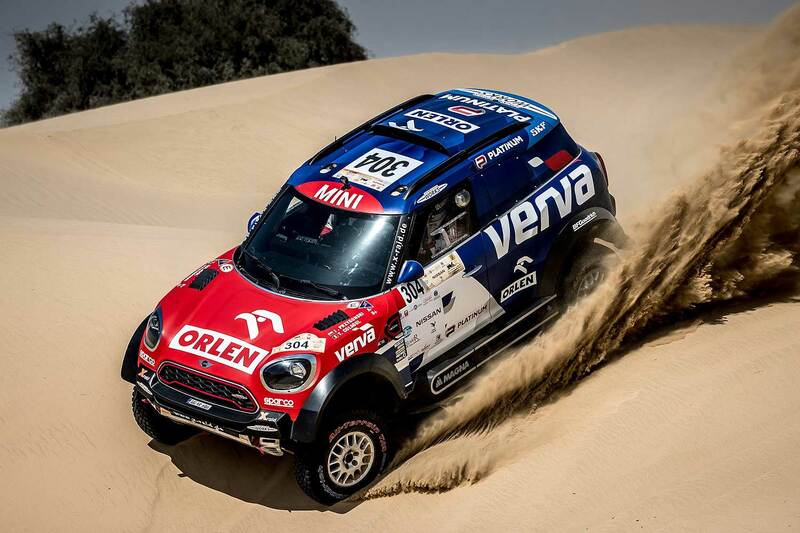 Both Mini-crews will be re-united again in two weeks in the "Abu Dhabi Desert Challenge", which will be held as third round of the FIA World Cup from March 24-29.